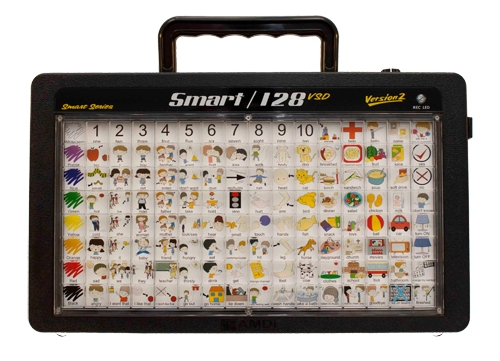 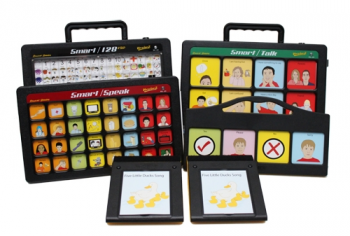 Our ultimate communication bundle is designed specifically for evaluation sites, schools and training centers. 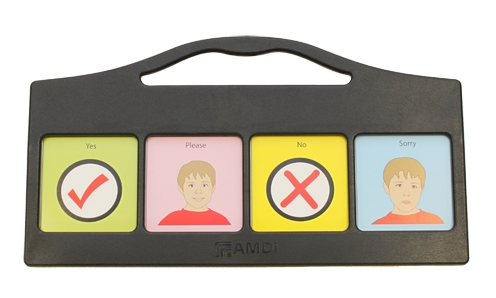 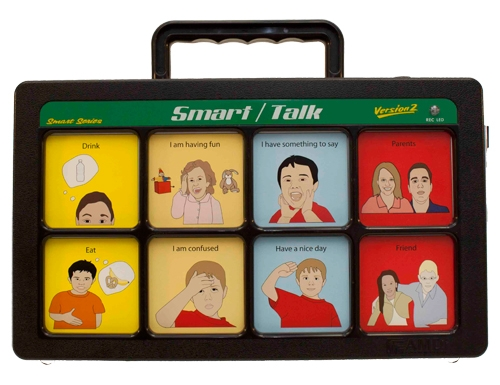 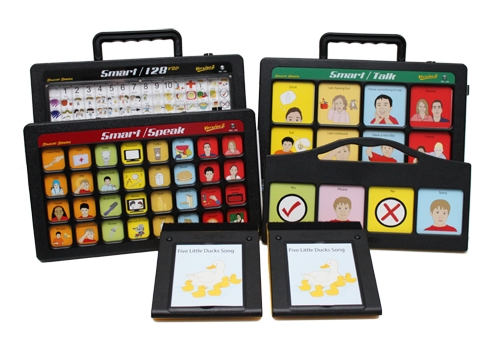 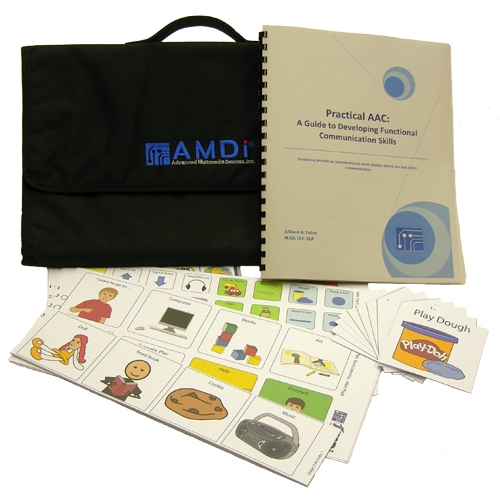 In combination with our Practical AAC Guide, this bundle is designed to foster functional communication skills by giving you all of the essential tools. 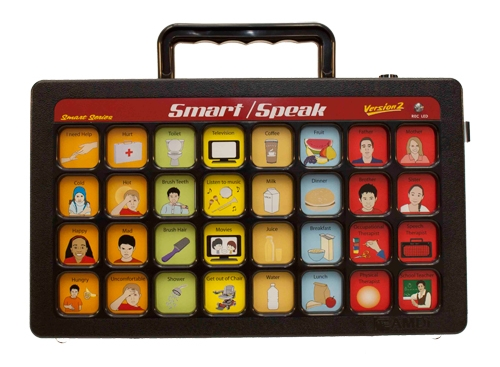 All items below are packaged into a handsome carrying case. 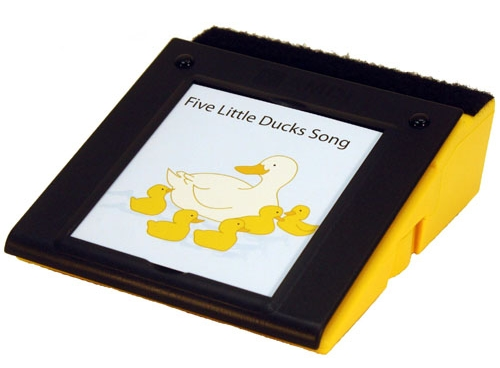 Special Order - Unfortunately, this means that we cannot accept returns once your order is shipped, so please call our trained staff with any questions you may have prior to ordering - we will ensure that you get exactly what you need.